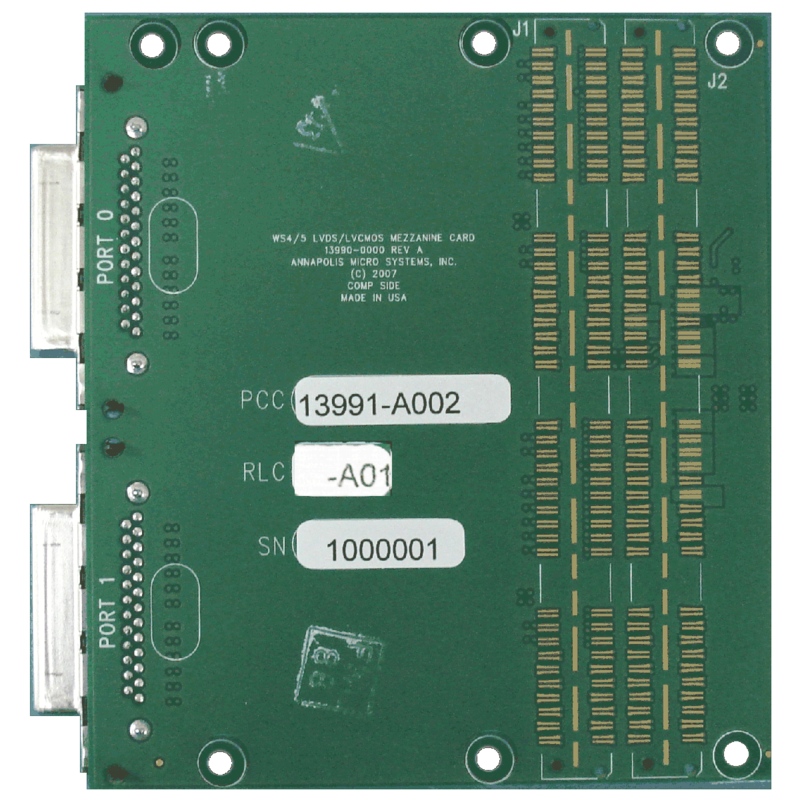 The WILDSTAR LVDS/2.5V-LVCMOS (Low Voltage Differential Signaling, Low Voltage Complementary Metal Oxide Semiconductor) Mezzanine Card performs high-speed, general-purpose I/O transfers between WILDSTAR 6, WILDSTAR 7, and WILDSTAR A5 motherboards and other components. 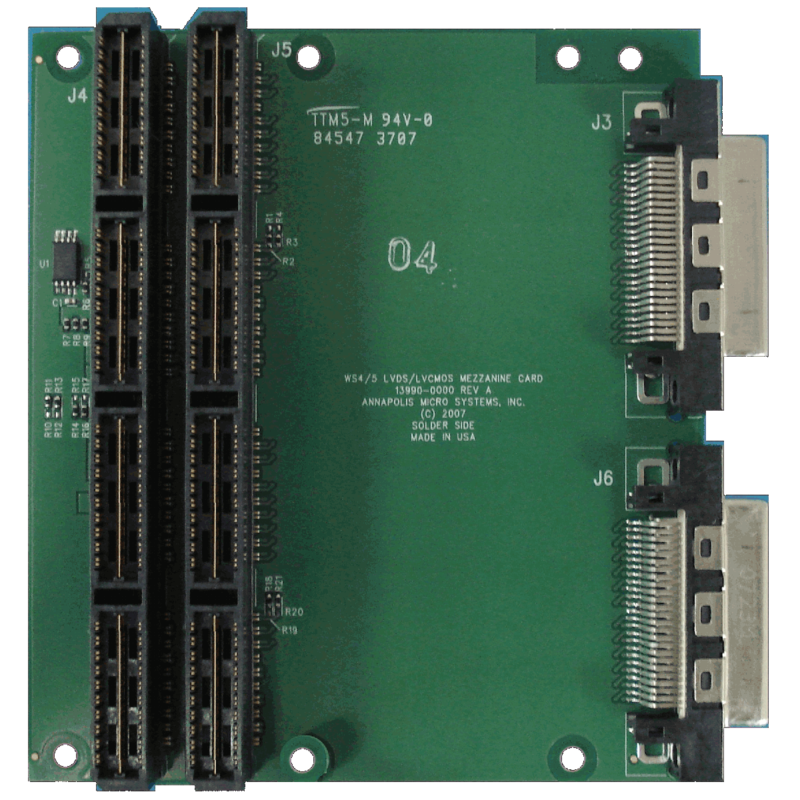 The card provides up to 96 single-ended lines or 48 differential pairs between a WILDSTAR FPGA-based processing board and an external system. Each pair of signals has its own separate control line, and can be configured to be single-ended or differential independent of all other signals. The LVDS Mezzanine Card is fully compatible with the CoreFire Next Design Suite, an FPGA design application tool developed by Annapolis Micro Systems, Inc. As a dataflow-based FPGA design tool, CoreFire Next allows you to create designs in a fraction of the time required for a conventional VHDL-based control flow approach. CoreFire Next can be used with LVDS Mezzanine Cards on WILDSTAR motherboards.